The Government has recently issued its response to last year’s consultation on the Energy Savings Opportunity Scheme (ESOS), together with regulations to enact the scheme and guidance for participants. ESOS is being introduced as a result of Article 8(4) of the EU Energy Efficiency Directive which requires all non-SMEs to conduct energy audits by 5 December 2015 and every four years thereafter. The official estimate, based on affected businesses reducing their energy consumption by a modest 0.7%, is that the net benefit to the UK over 16 years will be £1.6 billion. it is part of a corporate group which includes an undertaking that meets either of the above criteria. ESOS runs in four year phases – any business/group that meets the above criteria on the qualification date for each phase has to participate in that phase. The qualification date for Phase 1 is 31 December this year and participants have until fulfil their obligations by 5 December 2015. All private sector organisations should therefore consider their size and group structure as at the end of this year and then, if they fall within the scope of ESOS, take steps to comply with the new requirements by the deadline. On 20 November 2013 DECC launched a new CRC consultation exercise concerned with further simplification of the CRC. This short consultation period is necessary in order for the new CRC Amendment Order to be in force at the beginning of April when Phase 2 of the CRC commences. Does this Concern Your Organisation? We recommend that you read the consultation paper and consider responding if your organisation/group is required to register for Phase 2 based on the current rules, plus one or more of the following points applies. This consultation covers two principal issues. The need to incentivise the uptake of on-site renewable electricity generation. The proposal is that self-supplied renewable electricity will carry a zero rate emissions conversion factor where it is eligible for payments under the Renewables Obligation Certificate (ROC) or Feed-in Tariff (FiT) schemes but none are claimed. The CO2 information for transport services is a provision derived from the Grenelle de l’environnement to address the ambitious objectives set by the French Government in terms of reducing greenhouse gas emissions. Its mandatory application was introduced by an article of the “Grenelle II” law, and integrated into article L1431-3 of the French transport code with the aim of promoting transport that produces the least amounts of CO2 emissions. The article L1431-3 establishes the principle of CO2 information disclosure from transport services, requiring service providers to inform service users (beneficiaries) of their carbon dioxide emissions (freight and passenger) during each transport service. 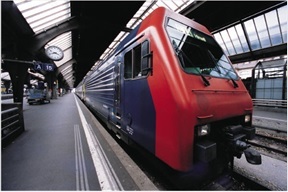 The disclosure requirement affects all transport activities departing from or traveling to a location in France and becomes mandatory on the 1st October 2013. • Order of 10 April 2012 implementing Articles 5, 6 and 8 of French Decree no. 2011-1336 of 24 October 2011: sets out the emission factors for the various energy sources and the default values (level 1 values) that can be used. “any public or private persons organising or selling transport services for passengers, goods or moving purposes, carried out using one or several means of transport, departing from or travelling to a location in France, with the exception of transport services organised by public or private persons for their own behalf” (article 2 of the French decree No. 2011-1336). On June 12th the government laid before parliament the redrafted Mandatory Greenhouse Gas Emissions reporting legislation. The legislation which was first announced in June 2012 has now been formalised and released with detailed guidance on what and how to report. The legislation requires companies to report their Greenhouse Gas Emissions as part of their Annual reports. It also provides for voluntary reporting by any organisation. The re-drafted regulations contained much long awaited clarity mainly around specifying exactly which listed companies are required to comply, who defines the organisational boundaries, and what should be included in the report. 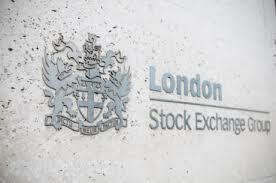 – All UK incorporated companies listed on the main market of the London Stock Exchange, a European Economic Area market or whose shares are dealing on the New York Stock Exchange or NASDAQ must include their Greenhouse Gas Emissions report as part of the annual returns. The company’s scope 1 and scope 2 emissions as a minimum. 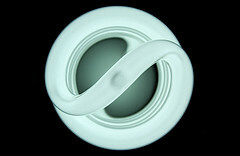 Including Scope 3 emissions is recommended in line with international best practice but is not a requirement in year 1. – Scope 1: Fossil fuels such as natural gas, fuel consumed by company owned or leased vehicles, fugitive emissions such as refrigerants, and any process emissions. – Scope 2: Electricity from the national grid and any purchased heat steam or cooling. – Scope 3 (optional): Business travel, inbound and outbound freight, waste, water and key upstream and downstream value chain(supply chain) emissions. Emissions for all company operations, processes and activities occurring not just in the UK, but for all global operations must be included in the report. Emissions must be stated in Carbon Dioxide Equivalent accounting for all 6 Kyoto gases. Gender Equality at organisation levels; a breakdown will be required of the number of men and women on the board, in senior management positions and in the company. 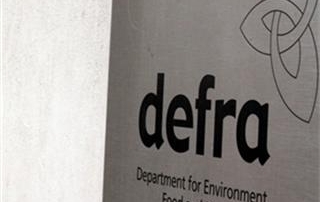 On June 12th 2013, DEFRA released the new guidance on corporate greenhouse gas emissions. There are many emissions factor updates as expected. 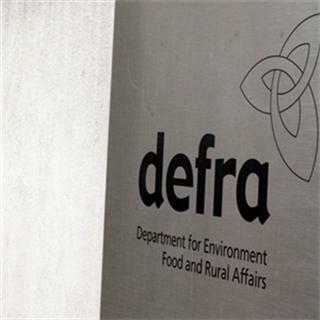 There are also a number of very positive changes to the DEFRA calculation methodologies which bring the DEFRA guidance more inline with international best practice. The new guidance includes many changes to how emissions are reported going forward and historically. Specifically around electricity retrospectively updating the 5 year grid rolling average. For existing ManageCO2 software users, you do not need to worry about these changes as the software handles these changes for you. Our account managers will be in touch to explain the implications for your organisation. The 5 year grid rolling average figures for electricity have been removed. All conversion factors are now based on a single average factor for a particular year. This will allow organisations to report using a factor representing the most current emissions estimation from the grid. Using the 1 year average factor has a number of benefits, including a more immediate ability for organisations to report efficiencies achieved in national infrastructure, rather than this being dampened within a 5 year average. The 1 year average factor will however be more sensitive to energy mix changes on a year on year basis. Sustainability Sure is Landmark Information Group’s Sustainability Solutions service which was founded in response to existing customers demand for Carbon, Sustainability and Energy software solutions that went beyond our Sustainability Sure’s predecessor Carbon Counter. Landmark Information Group is a Daily Mail and General Trust company. When it comes to CRC, data collection really is the crux of the work and Carbon Counter has meant that we have an accurate, secure and accessible format for recording that process. We see it as essential to have all of our energy data in one place and Carbon Counter offers this with the added benefit of being web-based which means it is backed up and secure. By considering an application that was designed specifically for CRC we decided that Carbon Counter could complement our existing M&T software. Filtering out relevant information means we can create evidence folders and reports.